Our electrical switchgear is produced in accordance with customer-specific requirements, as well as the corresponding specifications and standards and compliance with the current European ICE standards is top priority. We offer every service, from engineering to the circuit planning, programming of the selected software and construction of the control cabinet. Our scope of supply may include commissioning of the complete system and the maintenance contracts. The drawing programs EPLAN5.7, EPLAN P8 and ELCAD5.8 are used for planning and graphic representation of the electrical switchgear. The choice of hardware is a decisive quality requirement. 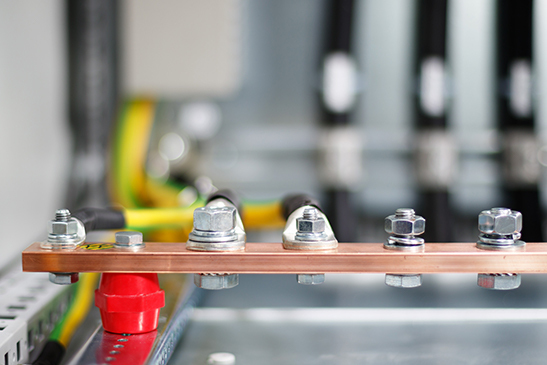 For this reason, as a standard, the switchgear we manufacture is equipped with products from brands like Siemens, Eaton, Rittal, Schneider Electric and Rockwell. Of course, customized solutions are also possible in coordination. 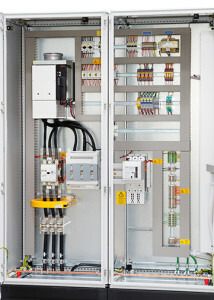 The control of a system ranges from the simple ON / OFF control with contactors to the most modern thyristor controllers that enable a continuous control. For applications where large quantities of power is required, a combination of contactor and thyristor circuit can also be created. 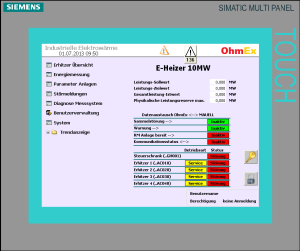 Designing the optimal control Panels for our customers is very important to us, because then the customer can choose between a few options such as ground fault monitoring, power measurement, a bus connection or other interfaces and other features. 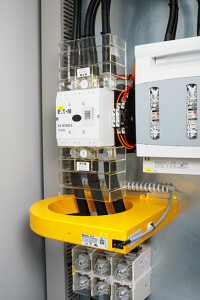 For communication between a higher-level process control system (PLS / PLC) on the customer’s side and the switchgear, we also offer interfaces according to the customer’s requirements to allow smooth integration of the system into the existing process.